On Nick and Amy’s fifth wedding anniversary, Amy mysteriously disappears, kicking off a thriller about a marriage gone terribly wrong. It almost requires a game board to show how Nick and Amy move through this book … the game Ms. Flynn has in mind is a two-sided contest in which Nick and Amy tell conflicting stories … Like many a less clever unreliable narrator, Nick likes lies of omission. The reader has to figure this out very gradually, because Ms. Flynn is impressively cagey about which details she chooses to withhold … Gone Girl is Ms. Flynn’s dazzling breakthrough. It is wily, mercurial, subtly layered and populated by characters so well imagined that they’re hard to part with — even if, as in Amy’s case, they are already departed. 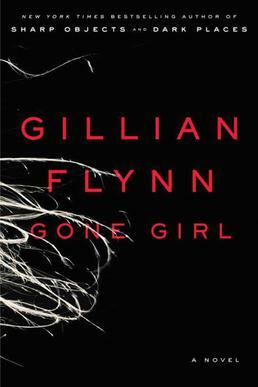 Flynn’s particular specialty is ‘unlikable’ narrators: Not freakish killers, but ordinarily selfish, resentful or sarcastic types, the kind of characters that readers often seem to dislike because they offer an uncomfortable reflection of their own mundane shortcomings … Gone Girl has two such narrators, the halves of a broken marriage...and the novel has two mysteries: What happened to Amy, and what happened to Nick-and-Amy? … For the first half of the novel, these two contradictory yet strangely harmonized accounts of the marriage’s decay command most of the attention … You couldn’t say that this is a crime novel that’s ultimately about a marriage, which would make it a literary novel in disguise. The crime and the marriage are inseparable. I found it as irritating as imagined ... By the time the train ride was over, I felt I was reading something truly sick and dark ... The sick and dark of Gone Girl, by Gillian Flynn, is less in the plot (which is a masterpiece of cuckoo-clockwork), more in the book’s vision ... That the emotional violence is rendered in smarty-pants chirping makes it more grating than painful ... it is also a maniacal power fantasy that panders to female anger and fear ... What remains unclear is how the book regards its nauseating fantasy ... Either way, it’s difficult to appreciate the book without participating in the fantasy, without living, for a time, in the horrible hive brain that the book so successfully invokes ... But this book seems a little too enamored with Amy’s view of the world, and misuses its power as much as its protagonist misuses hers. What did you think of Gone Girl?